Mike Smith to bring group of current and former players to Watson Lake in August for an NHLPA Goals & Dreams 15th Anniversary tour stop and donation of $20,000 worth of hockey equipment to the community. July 6, 2015 (Watson Lake, YT) – The Watson Lake Minor Hockey Association (WLMHA) is pleased to announce that Mike Smith – National Hockey League Players’ Association (NHLPA) member and Arizona Coyotes goaltender – will be one of several current and former NHL players to visit Watson Lake, on the final stop of the NHLPA Goals & Dreams’ 15th Anniversary multi-city celebration tour. 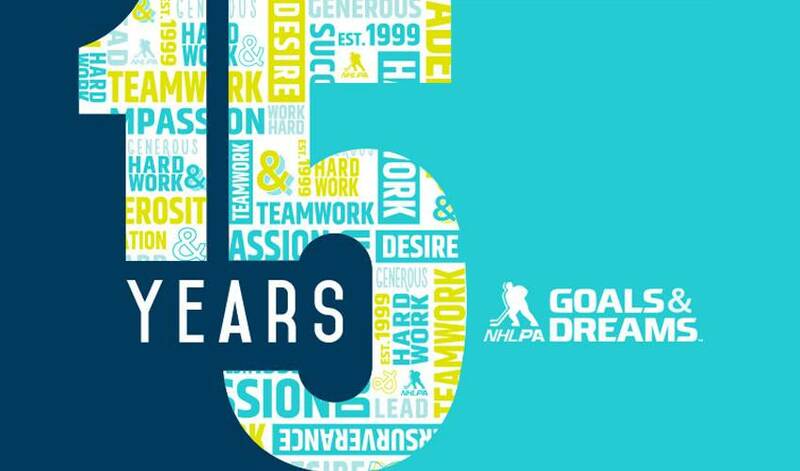 Hosted by the WLMHA and Watson Lake RCMP, in partnership with JDS Silver, ATCO Electric Yukon, and Air North, Yukon’s Airline, the NHLPA Goals & Dreams 15th Anniversary tour stop in Watson Lake will take place August 1st and 2nd. Representing NHLPA Goals & Dreams, Smith headlines a roster of players that will engage Yukon youth in the sport of hockey, encouraging healthy lifestyles through physical activity and teamwork. Smith will be joined by teammate B.J. Crombeen; as well as Crombeen’s father, Mike Crombeen, a St. Louis Blues and Hartford Whalers alumnus; forward David Booth; and Brent Gilchrist, a Stanley Cup winner with the Red Wings. Youth from across the Yukon will be given the opportunity to take part in the hockey camp, free of charge. NHLPA Goals & Dreams has also committed to donate $20,000 worth of youth hockey equipment to the community of Watson Lake. "Hockey is healthy in Whitehorse and so by giving priority to rural Yukon, we hope to raise the profile of the game in the smaller communities and create excitement for our youth, parents and community volunteers,” said Watson Lake RCMP Const. Jean-Michel Sauvé. “We want to grow the sport exponentially from where it is currently, which in turn could provide an opportunity for some youth to develop their skills to a higher level, and further their education while focusing on the sport in or outside the Yukon." The camp will include on-ice clinics each day, player talks, a fishing derby, and a community potlatch. Players and NHLPA staff will coach the Sergeant’s Cup recreational hockey game, which will include members of the RCMP and Watson Lake Silver Tip Oldtimers. The project will also provide professional development opportunities for local hockey coaches. More information regarding the Watson Lake stop of the NHLPA Goals & Dreams 15th Anniversary Tour is available on the event Facebook page, or by contacting the Watson Lake Minor Hockey Association: wlminorhockey@gmail.com.